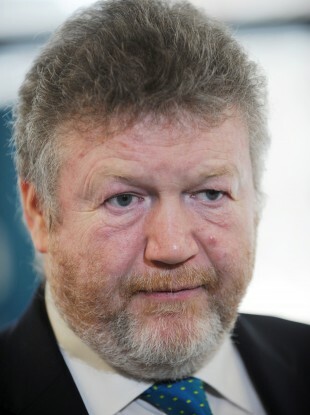 HEALTH MINISTER JAMES Reilly has been urged to intervene and ensure a drug is made available to patients suffering from a terminal lung illness. The drug, Pirfenidone, is for sufferers of Idiopathic Pulmonary Fibrosis (IPF), a rare, chronic, progressive and debilitating disease which involves the development of scar tissue (fibrosis) in the lungs. The Irish Lung Fibrosis Association (ILFA) said it is disappointed, greatly saddened and dissatisfied that the National Centre for Pharmacoeconomics (NCPE) has announced that Pirfenidone will not be made available for patients with IPF based on economic grounds. ILFA has called on the government to approve funding for Pirfenidone, which it says is the first and only drug to prolong life expectancy in patients with IPF. It said it is alarmed that the NPCE decision will impact hugely on IPF patients who are already struggling to come to terms with their diagnosis. There is no known cause for the terminal disease, and life expectancy from time of diagnosis can be between two and five years. In excess of 350 people die from IPF in Ireland each year. It would regrettable if this therapy was not available to Irish patients, given the serious nature of the condition, and the fact that it is available in other countries including the UK. Fianna Fáil local area representative Daithí de Róiste is urging the Minister for Health James Reilly to reconsider the decision of the NCPE. The HSE told TheJournal.ie that it is currently in negotiations with the manufacturers of Pirfenidone and it would not be appropriate to comment further while these are ongoing. However, the application to the HSE for the reimbursement of Pirfenidone under the Community Drugs Schemes is being considered in line with the agreed procedures and timelines for the assessment of new medicines, as per the 2012 agreement between IPHA and the Dept of Health. De Róiste said that the decision by the NCPE “has caused huge distress to patients and families of those suffering from IPF”. Pirfenidone gives patients a fighting chance in limiting IPF until they can avail of a transplant. The news that the only drug treatment option available to those facing a debilitating illness will be withheld on financial grounds is simply devastating and I would call on Minister Reilly to make himself aware of this decision (if he is not) and to reverse it as soon as possible. He has publicly called on the Minister to “see sense, intervene in this situation and reverse this decision. Over 70 patients are affected with this illness and now place their lives in his hands”. In March, the Cystic Fibrosis drug Kalydeco was made available to all CF patients in Ireland who have the gene mutation G551D. The decision came after the NCPE said that the drug was too expensive, but Minister Reilly was able to reach agreement with the HSE and the manufacturers of the drug. Kalydeco costs €200,000 per per patient for treatment whilst Pirfenidone is €32,700 per annum, pointed out De Roiste. Email “Reilly urged to help make Lung Fibrosis drug available”. Feedback on “Reilly urged to help make Lung Fibrosis drug available”.